Water can do severe house damage, especially in rainy seasons or in homes with damaged sewage systems or pipes. 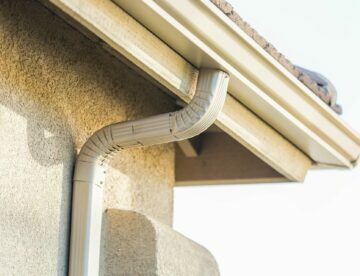 We cannot see behind the walls of our homes and we cannot talk to it, so here are some warnings signs you might have water damage in your home. You cannot pinpoint the problem just by looking out for these signs. It may vary from a broken sump pump to a tree root blocking your pipe. The best thing you can do if you recognize any of the mentioned signs is calling an expert to check if your house needs basement waterproofing, camera sewer inspections or replacements of broken parts. The negative consequences that mold can have on our health are allergies, asthma attacks, infections, difficulty breathing and weakened immune system. Mold infects the air we breathe in our homes. It can occur due to condensation and in that situation you can easily get rid of it with using a humidifier, but other times mold is a symptom of severe water damage in your home like broken pipes, old waterproofing mechanisms or sewage problems. If you suspect you have water problems and you still haven’t seen a wall leak or a floor crack in your basement then you should start using your 4th sense – smell. Usually unpleasant odors happen in basements, kitchens or bathrooms. 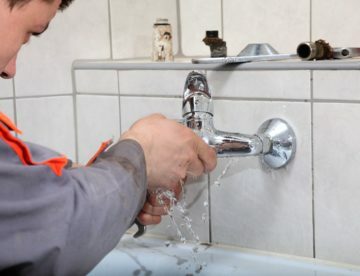 They happen because moisture within the walls, old and broken sewage pipes; and disconnected or dirty pipes. If you frequently notice unpleasant smells then you probably have water damage issues. Bad odor is also a warning sign for mold appearance. 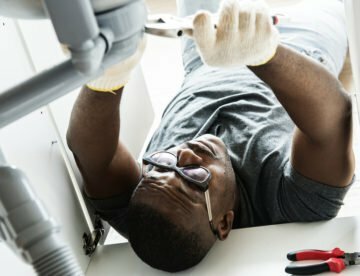 If your house smells bad, run a humidifier, if that doesn’t help then call a plumber. The condition of your walls is a great indicator for the condition of the waterproofing system in your home. If you have leaks and cracks on the walls then you should waterproof those areas or call an expert to figure out the reasons behind it. Another indicator for water issues are stained, bubbly or peeling wallpapers. This happens because of loose water inside the walls of your home. It means that the system which has the goal to transport the water to sump pumps and drying areas has malfunctioned. Damaged or unstable flooring is the key sign to water damage in your house. If you have floor cracks in your basement then you might be dealing with severe issues in your waterproofing systems; or for some households you might even have underground springs and tree roots which disrupt the piping. Despite floor cracks and leaks, there are also other signs you should look out for as expanded wooden floorings, detached or rotten planks; soft, spongy and moist parts of floors.